I want to visit all of the Polish cities and thanks to Polski Bus they have really nice service from Warsaw to travel to other parts of Poland really cheap and comfortable. Recently I travelled to Wroclaw by Polski Bus and it was really a nice journey. The tickets are always cheap and can be bought online through their website. 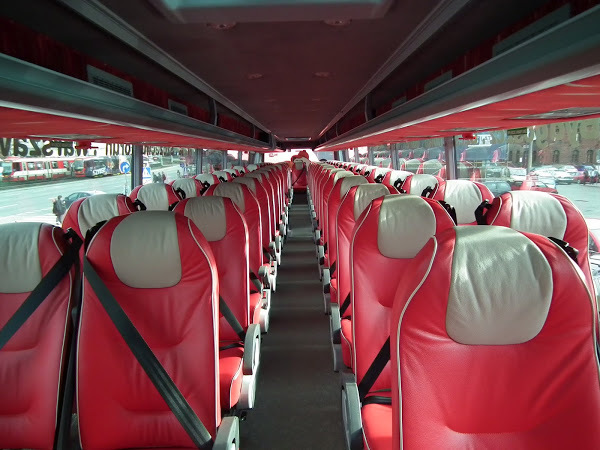 The good thing is that the buses are modern, clean ,have Wi-fi and some snacks or beverages for the passengers. It took 5 hours to reach Wroclaw from Warsaw and the time went quickly as I was using internet on my laptop and had a short nap in between. The seats are comfortable and sometimes its possible that the buses are not totally full so we can easily sleep using the full space around us. They served juices, coffee, tea and some snacks also after sometime which was surprising for me but I liked it. So if anyone is planning to visit other parts of Poland, Berlin or Prague, the best option I think is Polski Bus.